After a summer of gun violence, the federal Liberals are contemplating a national ban on handguns and assault weapons. 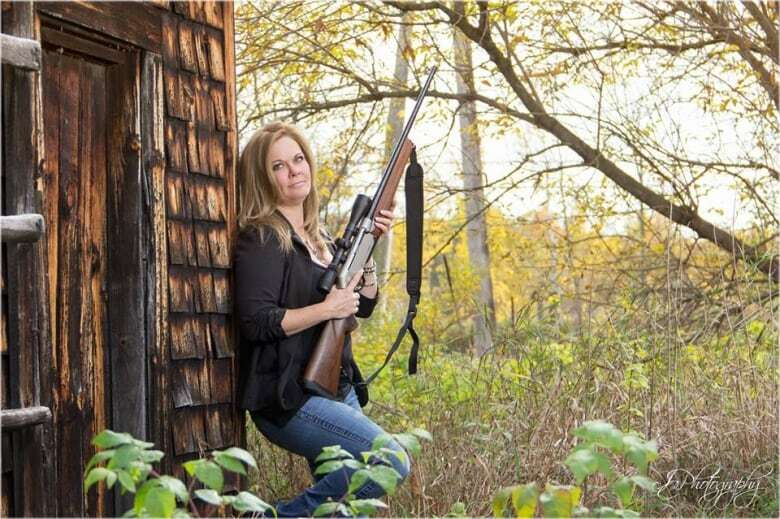 Tracey Wilson, a registered lobbyist for the right to bear arms doesn't think it will work. In the wake of a number of incidents of gun violence, Toronto mayor John Tory repeatedly posed the same question this summer: "Why does anyone in this city need to have a gun at all?" Statistics Canada says there were more than 7,600 victims of crime with a firearm last year, a number that has been on the rise. In June, children were caught in a crossfire in a playground. 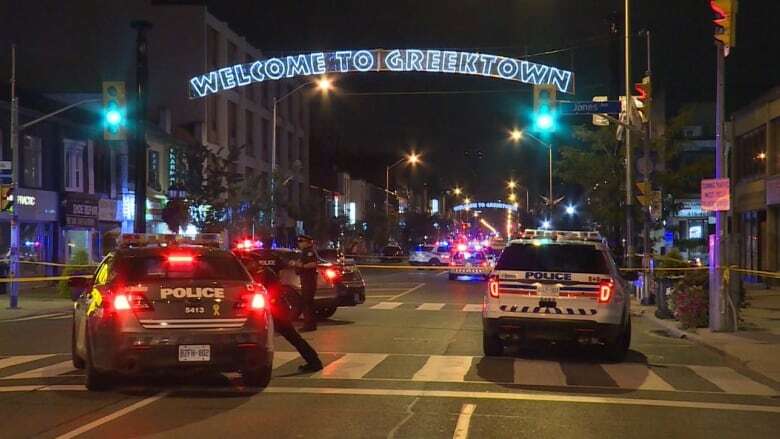 In July, a shooter randomly opened fire in Toronto's Greektown neighbourhood, killing a 10-year-old girl and an 18-year-old young woman and injuring 13 others. Calgary police investigated two shootings this summer in residential neighbourhoods where no one died, but bullets struck houses and cars. A 33-year-old man was gunned down in a road rage incident in East Vancouver. Four people were shot and killed this August in Fredericton, N.B., including two police officers. Prime Minister Justin Trudeau has asked Bill Blair, the minister responsible for organized crime reduction, to lead an examination of a full ban on handguns and assault weapons in Canada, "while not impeding the lawful use of firearms by Canadians." Tracey Wilson, a registered lobbyist for the Canadian Coalition for Firearms Rights, told The Sunday Edition's host Michael Enright she and her organization are "absolutely opposed" to a ban. Wilson is an avid sport shooter, as well as the vice president of public relations for CCFR. "As a mother and a grandmother and a Canadian, I want to have a credible conversation about crime in this country," she said. "We're getting caught up in a very unsophisticated conversation, where we are thinking that prohibition of something is suddenly going to work." Wilson said she attended a summit on gun and gang violence in Ottawa and is still waiting for many of the recommendations from that meeting to be implemented. She expressed concern that — despite the caveat from the prime minister about not impeding the lawful use of guns by Canadians — a gun ban could result in a demand that hunters and sports shooters like her might have to surrender their guns. "Something that I've legally acquired, I've taken the courses, I've passed all the required steps, I've paid the fees … I obey the laws, no matter how ridiculous they are," she said. "So how on earth is coming to my home and taking my possessions by force going to do anything for the crime that we see in our streets?" She also challenged 2016 RCMP statistics that say 61 per cent of firearms used in crime in this country are Canadian, not guns that were smuggled here from the U.S.
Wilson believes most Canadians are not knowledgeable about guns, gun owners or gun laws, but have opinions them. "The majority of Canadians don't understand what regulations are already in place. The Liberals have led them to believe … that we're somehow a bunch of thugs, driving around with loaded handguns in our glove boxes, which is absolutely incorrect," she said. She dismisses evidence that gun bans have been successful in countries such Japan, the United Kingdom, Australia and Germany. The CCFR circulated a petition to remove the AR-15 semi-automatic rifle from the RCMP's "restricted weapon" list. The gun has been used in many mass killings in the U.S., including the 2017 shooting where a gunman opened fire on concert goers in Las Vegas, killing 58 people and injuring 851. "Yes, it's been used in a number of shootings and that's because it's the most popular sporting rifle in the world," Wilson said. "That's like saying we should ban the Toyota Corolla because it's been used in the most drunk-driving incidents." In this wide-ranging conversation, Wilson also explained why she opposes Bill C-71, the federal government's legislation. It includes restrictions on large-capacity magazines for guns and seeks to increase the parameters of background checks for Canadians seeking a gun licence, from five years to the applicant's lifetime. Wilson said she feels unsafe without a gun in certain neighbourhoods of Ottawa, where she lives.